From hula hoops to Route 66, America prospered and enjoyed spending family time around the television, eating at cool diners, and drive-in movies. 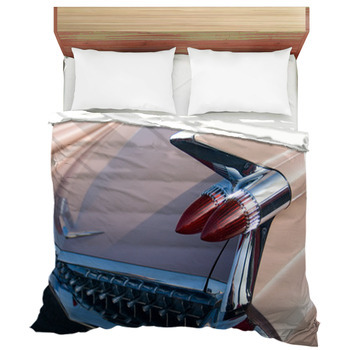 Not many retro diners and classic cars created in the fifties are still around today, but you can bring the 1950s style back to your bedroom with our unique 1950s bedding decor. It's an era in history that cannot be forgotten and with our retro designs available, you won't have to use your imagination - you can simply fall asleep dreaming of the scenes from the 1950s. 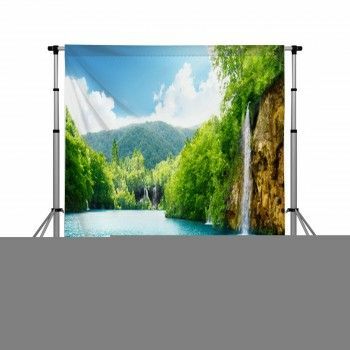 Our bedroom decor gallery has some of the best designs which you can use for your duvet cover or comforter, making it easy for you to bring back the past into your bedroom. We also offer bed sheets and pillow cases in this unique style. A 1950s bedroom can have the flair and vintage cool of the Fonz himself. Why not include a neon sign on your duvet and a jukebox on your pillow? Or, if you’re more comfortable in the country, try a vintage pickup truck comforter, cover your duvet in Route 66 country road, and lay your head to sleep on a barbershop pillowcase. Our 1950s vintage era bedding products come in standard sizes: Twin, Twin XL, Queen, and the King. 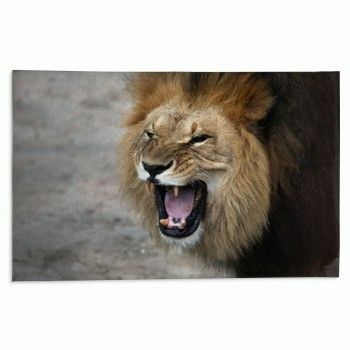 Even our pillowcases come in standard and the King! VisionBedding’s 1950s bedding is can be as personalized as Elvis himself. 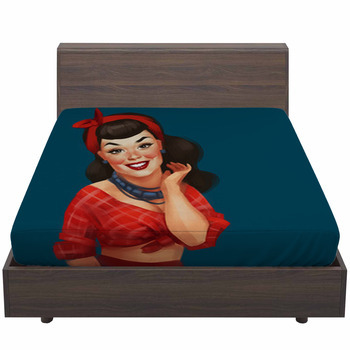 Our customization options let you choose between silhouettes of Conway Twitty or the Big Bopper, and since we allow your own photographs we can add your own 1950s flair to your bedding. Bring vintage into the modern day with our 1950s style bedding decor.